Born in Vienna Bayer studied at the Vienna Conservatory under Hellmesberger Sr., Bruckner and Dessoff. He became a violinist in the Vienna Court Opera Orchestra and became best known for his ballet works, the most well known being Die Puppenfee which became the definitive Austrian court ballet. 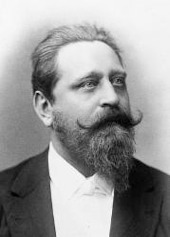 Bayer was a close friend of Johann Strauss the Younger, whose ballett Aschenbrödel (Cinderella) het completed following Strauss's death in 1899. At that time Bayer was Director of Ballet at the Vienna Court Opera.